Introducing the Shure SE846 sound isolating earphones, seen here in the eye-catching SE846-CL edition offer truly world class, personal, por.. Introducing the Shure SE846 sound isolating earphones, seen here in the eye-catching SE846-CL edition offer truly world class, personal, portable audio. Featuring Quad High-Definition MicroDrivers and a patented low pass filter design for a true subwoofer experience. With over ninety years of experience in the sound industry, Shure have put all of their audio technology knowhow into producing the SE846 sound isolating earphones. When only the finest and most accurate audio reproduction will do the Shure SE846 earphones are what you are looking for. 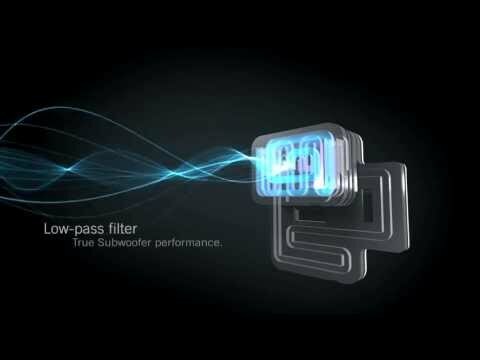 Derived from personal monitor technology that has been road-tested by professional musicians and fine-tuned by Shure engineers, the SE846 features a patent-pending design that includes a cutting-edge low-pass filter; technology enabling the deep low-end performance of a true subwoofer without sacrificing the clarity or detail of mid and high frequencies. Each SE846 earphone contains Quad High Definition MicroDrivers with True Subwoofer, with 100mm of high acoustic mass pathway. The SE846 earphones patented design transmits the output of the low frequency drivers through a unique low pass filter enabling rolloff at ~3 dB at 90 Hz (~10 dB at 250 Hz), providing breath taking low frequencies while preventing too much energy in the low mid-range, allowing the mid frequency driver and high frequency driver to fill their specified bandwidth unhindered giving you jaw-droppingly accurate reproduction of live sound. The SE846 earphones have been designed to give the user the clearest, most accurate reproduction of live audio possible and this is aided by the SE846 sound isolation. The integrated noise isolation offers isolation up to 37 dB to ensure minimal interference so your SE846 earphones are perfect for the ultimate enjoyment of your favourite music or for professional use in monitoring audio in a live or studio environment. The SE846 earphones allow the true audio enthusiast to go even further by offering personalisation options in addition to their already amazingly quality sound – colour coded, interchangeable filters enable you to customise the frequency to your liking; blue for a balanced, black for warm and white for bright. The SE846 in-ear headphones even come with a nozzle removal key to make changing frequency filters easy and seamless. Shure products are known for their strong construction and the SE846 earphones are no exception. The SE846 sound isolating earphones feature a tough, rugged housing with sweat-resistant construction to withstand the extremes of onstage use or everyday wear and durable Kevlar reinforced cables with formable wire ensure secure placement. The beautiful crystal-clear casing allows you to view the precision-engineered, laser etched interior components of the SE846-CL. The SE846’s removal cable and nozzle components ensure long product life by proving easy and efficient cleaning and part replacement if required. Great product had one for over month and it's just well worth the sound quality..